"Play as Stan, Kyle, Kenny, Cartman or any number of your favorite South Park characters in SOUTH PARK LET'S GO TOWER DEFENSE PLAY! 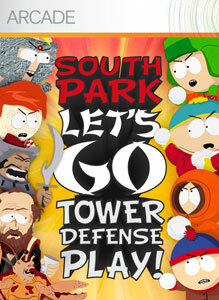 It’s the fast-paced action/strategy game, where you play to save the town of South Park. The game combines snowball-throwing action with tower defense strategy, and is designed for players of all skill levels. Unlock special content and new characters throughout the game for your in-game scrapbook. Play locally with up to four players or team up on Xbox LIVE in the story-based campaign or the extra-demanding Challenge levels.Unlock the full game of SOUTH PARK to access all the great gameplay features, including challenge levels and all 15 un-lockable playable characters. The full game features fast-paced and intense action/strategy with local and Xbox LIVE multiplay, leaderboards, achievements, and more!" 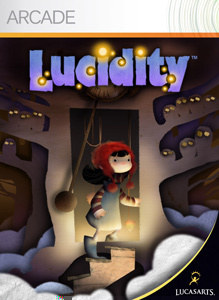 "From the team that re-imagined The Secret of Monkey Island®, comes Lucidity, an addictive puzzle platformer set in the surreal childlike dreamscapes of the little girl Sofi. In this challenging puzzle platformer, it’s your task to keep Sofi safe as she drifts deeper into the strange new world of her dreams. Featuring stunning hand-illustrated visuals, a spell-binding original score and unique puzzle platformer gameplay, Lucidity will challenge your wits, test your reflexes and mesmerize your senses. Buy the complete game now to gain access to all of the game’s levels plus unlockable bonus content."